We offer a host of business development and growth services that can easily be customised to meet your specific business needs. A free, no obligation business development consultation will help establish what your needs are and provide some free guidance on how to reach your business goals. See some of the services we offer below. To book your consultation, contact us on 03 5382 3001 or email us today! For many business owners who have reached growing pains or maturity in their business there can be a feeling of frustration. They have achieved a certain level of success, but are looking for something different to refresh and re-energise their business and to keep it on track. If you have tried seminars, books, or may even have hired a coach but still haven’t found the right fit then this management forum is an opportunity to supplement your current learning by keeping you up-to-date with a constant source of new ideas and advice from other pro-active entrepreneurs. Today business owners and managers, like yourself, are facing totally different challenges to those faced a decade ago. Fickle customers, cheaper overseas alternatives, competition from internet stores, more transient staff, rising rents, loan restrictions etc. No doubt this all sounds familiar and no wonder so many businesses are not going the distance. But there are some businesses that are thriving and we would like to ensure you are one of them. Our Business Development program has helped dozens of businesses to increase profits, maximise their potential, provided accountability, help set business objectives, help owners achieve the life balance they desire, develop their teams skills in key areas, exit their industry with the best possible return as well as improving their systems and processes. As no two businesses have exactly the same issues we offer a host of services that will help you achieve tangible results in the shortest possible time and deliver a return on your investment. If what you are looking for is not listed don’t worry as we tailor our service to your unique needs. If you need assistance growing or developing your business then contact us now to discuss your needs. It is our experience that small business owners are great at what they do and unless that is sell technology then it makes sense to seek professional advice regarding your business systems rather than taking the DIY route. Our business systems specialist, Richard Kemp, has been assisting businesses in this area for more than 15 years. If you need are wondering if there is a better way of doing something then talk to Richard. We offer a free, no obligation consultation of your systems needs. The Working On Your Business seminar series provides a unique opportunity to gain years of secrets and valuable business tips neatly packaged and presented in an easy to understand format through a series of highly educational seminars. Up coming seminars will be listed on our website very soon. Working closely with key members of your organisation, we can help guide your business much the same way a sports coach assists a team or athlete reach their optimum potential. Coaching sessions are therefore tailored to your needs and scheduled for your convenience, be it monthly, quarterly or on an ad hoc basis. These sessions ensure you are reaching agreed targets and that key projects are being completed as well as providing expert advice on pressing issues. These days it s just not practical for a business owner or manager to be exceptional in all areas of business. Hence from time to time it makes sense to utilise an external expert to perform a specific task. Our team offer dozens of solutions to various business problems. Business plans, SWOT Analysis, creating KPI scorecards, System reviews, Exit strategy advice, in-house presentations or workshops, benchmarking, customer advisory boards and much more. Whatever your issue we can either tailor a solution for you or advise of a network partner that we trust to handle your assignment as professionally as we would. Don’t wait until it s too late. 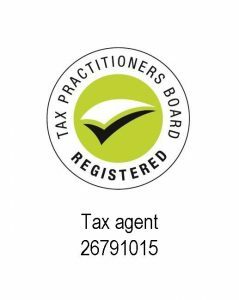 Contact Watts Price Accountants today on 5382 3001 to arrange a free consultation to discuss your needs.